You're gonna look pretty in this dress. Pretty hot! 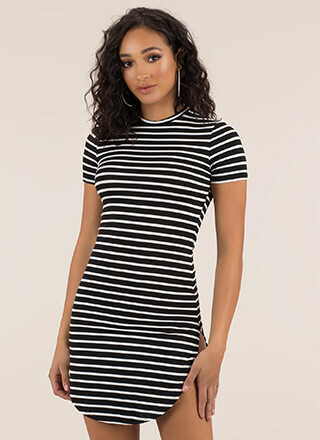 Stretchy, knit, sleeveless minidress features a plunging deep-V neckline and an allover striped design of vertical lines and panels. No closures are included. Pattern placement may vary.